What does June mean to you? ‘Hopefully the start of better weather!’ I hear my fellow English folk cry. For mamma Romeo it’s the start of the courgette season – as well as tending to the vegetables she’ll be looking out for the beautiful male flowers on her crop of summer squash. Like most things in Italy, they’re destined for the pot! 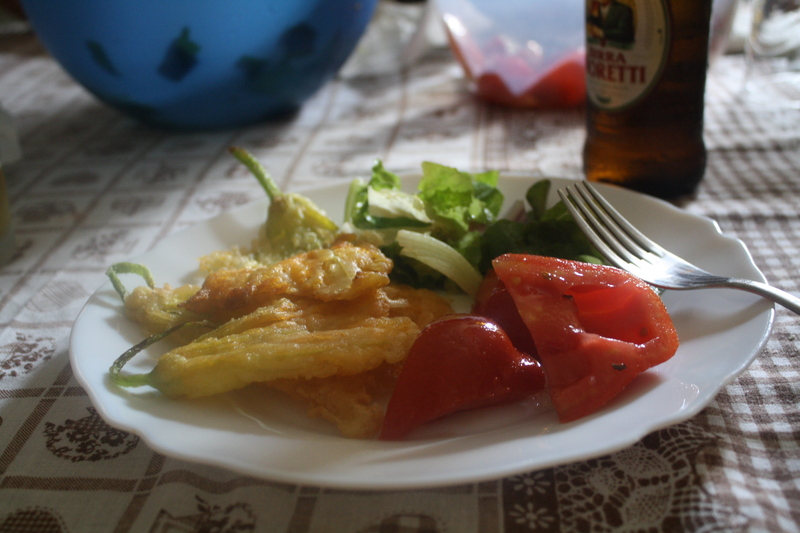 With my Italian still shamefully ‘just above basic’, I love to help mamma Romeo cook; after dipping the flowers in a light batter, they’re carefully shallow fried until crisp and golden. Extremely house-proud, any frying goes on outside, but with gorgeous weather and a breathtaking view of Pollino National Park, I don’t need to be asked twice! Mix 150g sifted self-raising flour seasoned with salt and pepper with 250ml San Pellegrino sparkling mineral water to form a smooth batter. As Antonio Carluccio once put it, ‘the most underrated ham in Italy’. Smoky, silky smooth mortadella is a favourite of Giuseppe’s too – watch him eat this stuff and you won’t be able to see him clearly for jumping up-and-down and waving hand motions! I’m more of a Parma ham girl, so I just make sure all the glasses are out of the way when this is at the table. Sainsbury’s Taste The Difference, Mortadella, £3.00 for 130g. Ever wondered what happened to spaghetti jars? I stumbled accross these lovelies on my visit to the Firmiloe building as part Clerkenwell Design Week last week. What beauties! I just needed to convince Giuseppe about the benefits of drilling another 15 holes in the ceiling complete with a mammoth re-wiring task. He calmly guided me to Kathleen Hills stand. Where I found THIS! 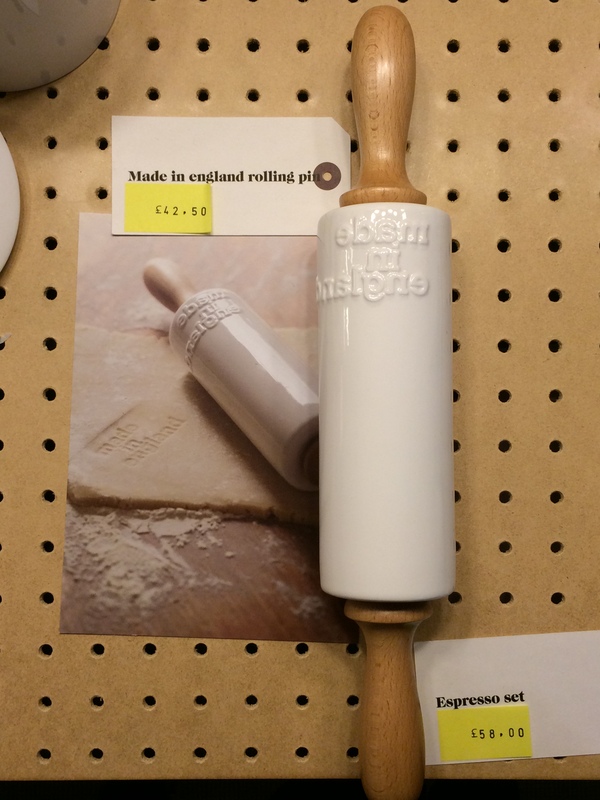 ‘Made in England’ imprint, bone china and beech rolling pin.